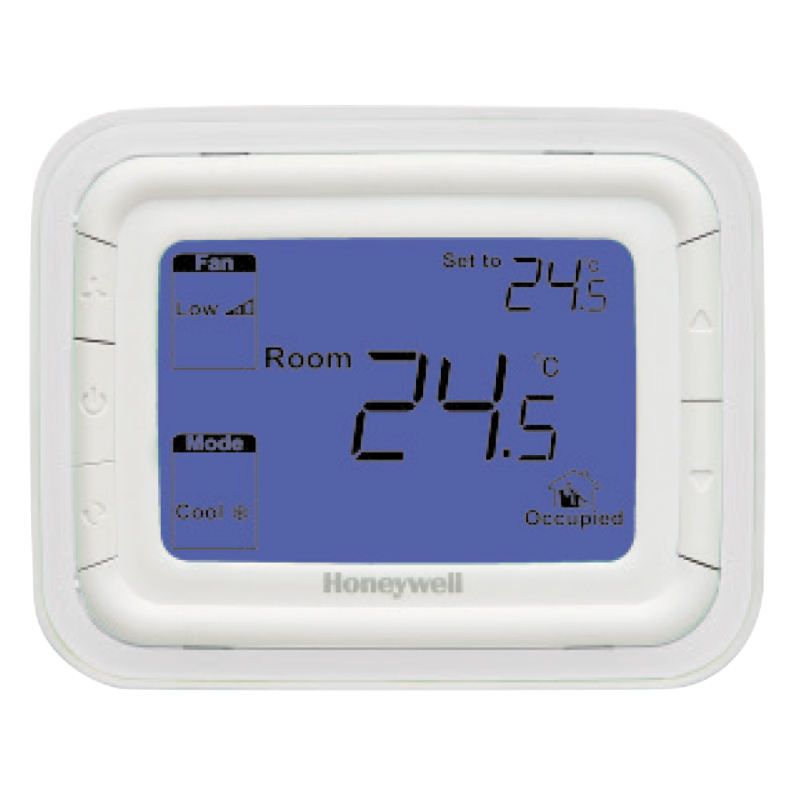 Honeywell Thermostats - Westaflex "
This slim line non-programmable thermostat has been designed by Honeywell for controlling a wide range of applications including warm air furnace, hydronic heating conventional and combi boiler system, zoning with hydronic system, underfloor heating system, electric heating system and fancoil unit. 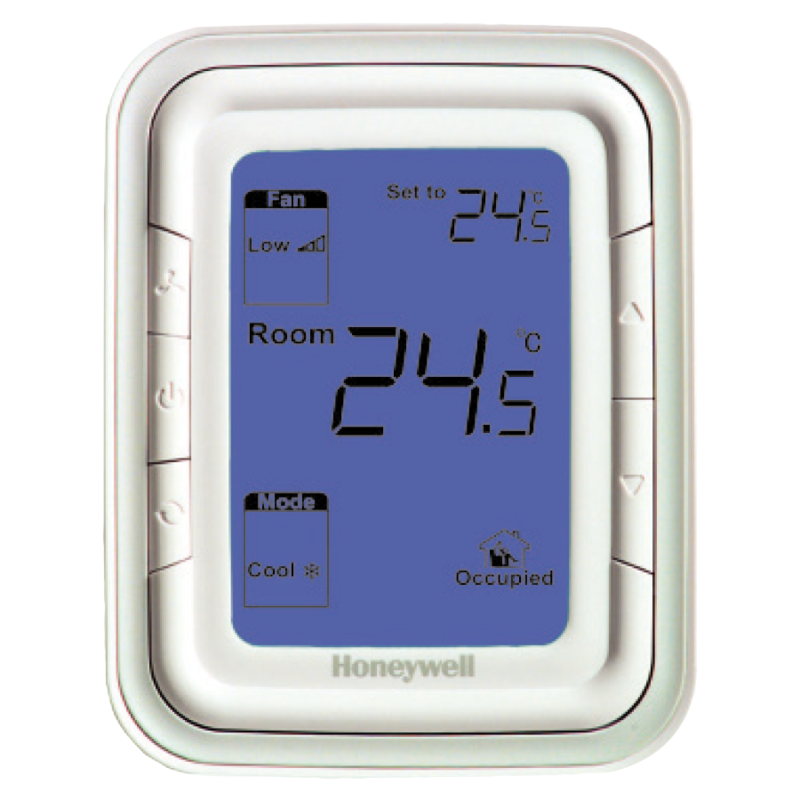 Honeywel FocusPro™ 5000 digital thermostat offers the perfect blend of features, performance and value. 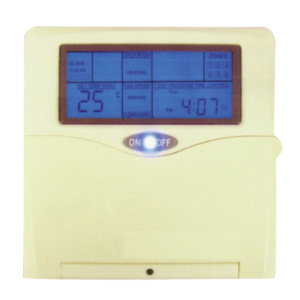 With the largest backlit screen in its class and an easy-to-read digital display, FocusPro™ 5000 prominently displays both room and set temperature. 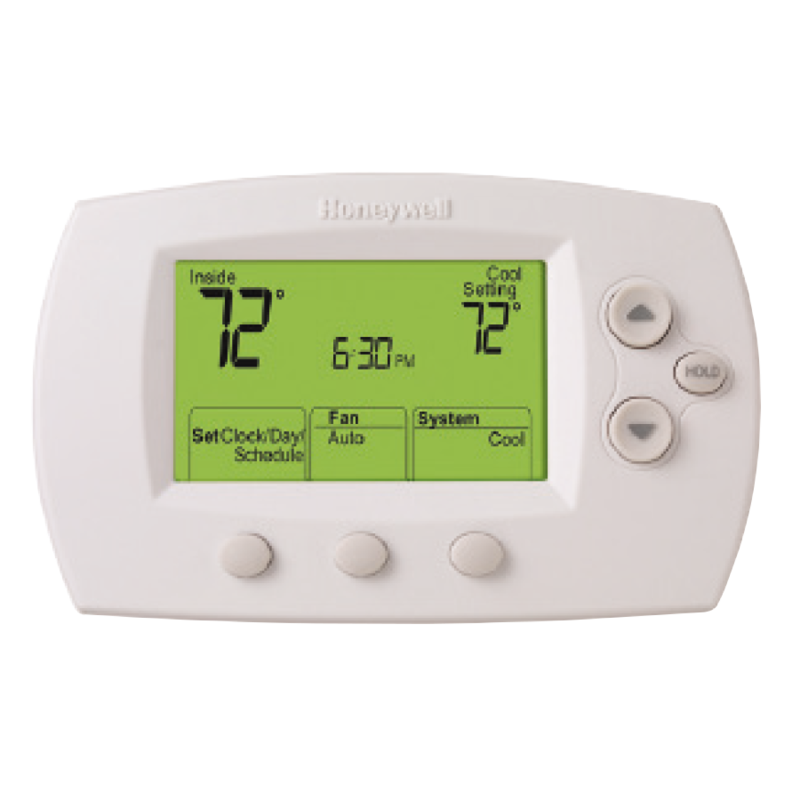 Plus, you’ll enjoy features like easy-access battery replacement, and the reliability you can expect from a Honeywell thermostat. 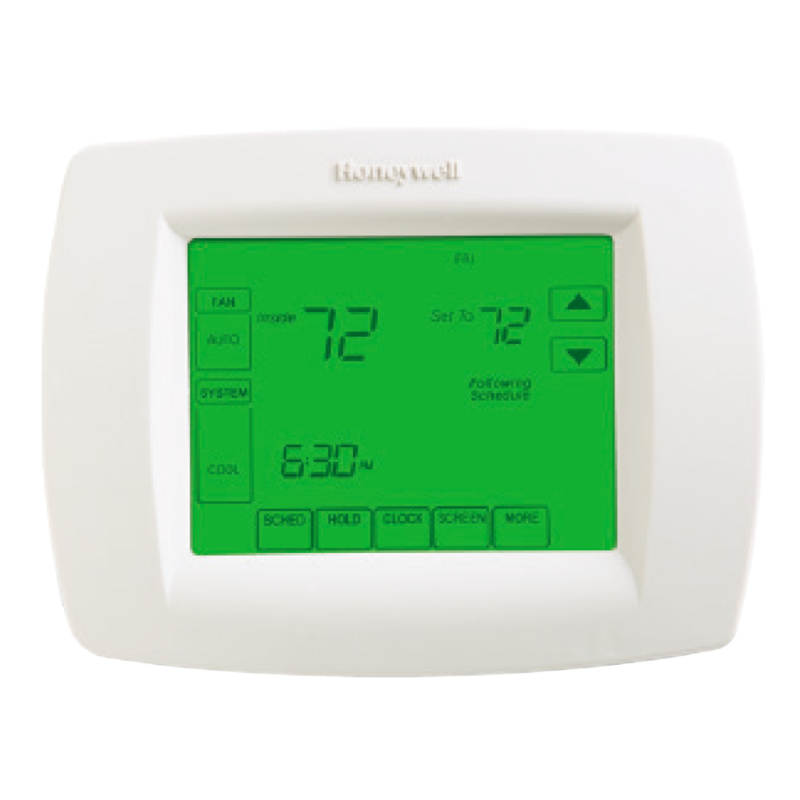 Honeywell VisionPRO™ 8000 is effortless to use. 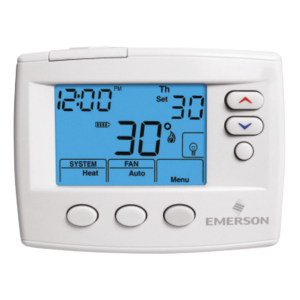 Its intuitive logic and menu-driven programming respond to your choices and schedule for optimal comfort and energy savings. VisionPRO™ offers you top-of-the-line features like touchscreen interaction, a real-time clock, and a large, easy-to-read backlit display. 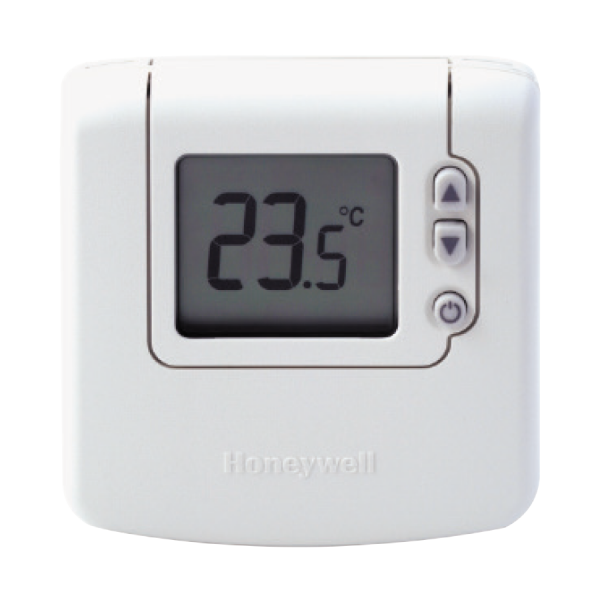 Honeywell Halo is a digital fan-coil thermostat that blends a stylish slim-line design with easy installation and great features. 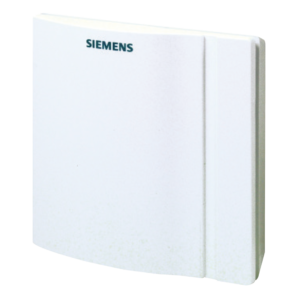 Designed to control 2 pipe or 4 pipe fan coil systems it’s perfectly suited to offices, hotels, motels and residential apartments. The Halo comes in two slim line models – a vertical or horizontal mount with a large easy to read blacklit LCD screen displaying all the information you need to know at a glance such as fan speed, room temperature and your set temperature. Remote outdoor sensors are available for the residential VisionPro 8000 series thermostats.